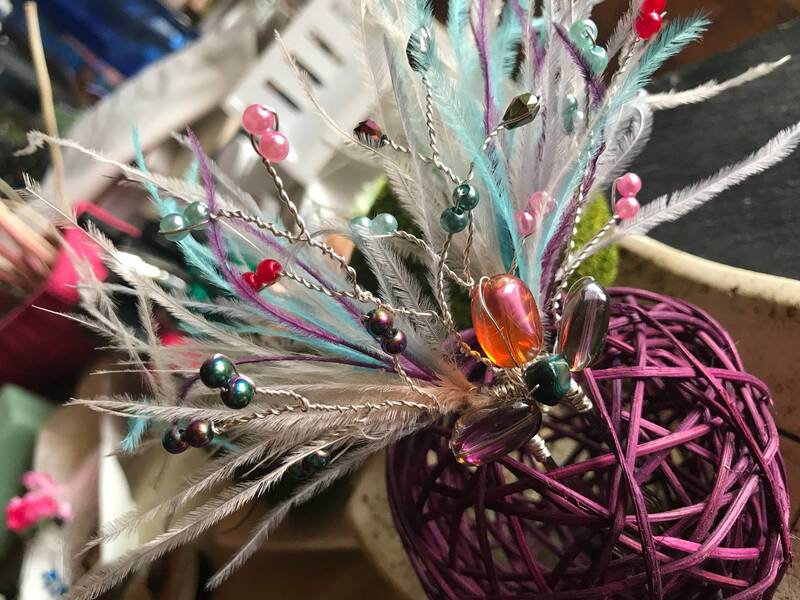 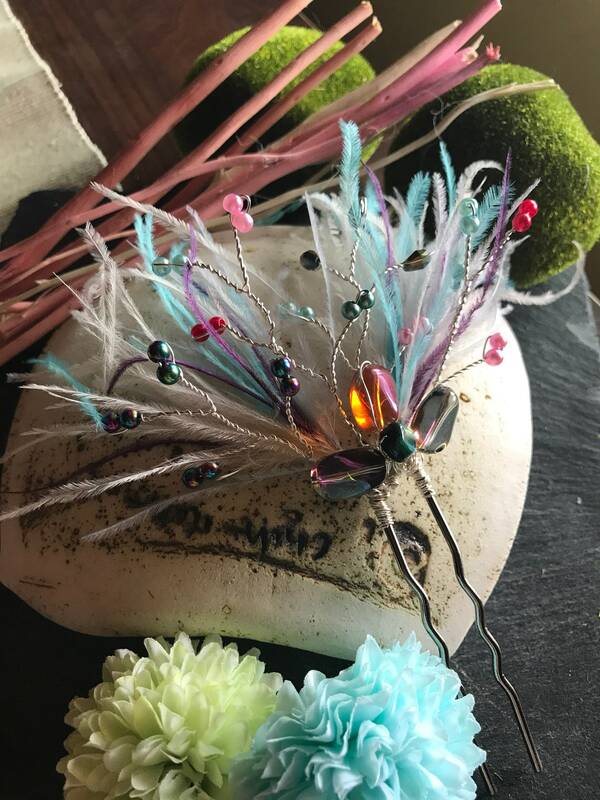 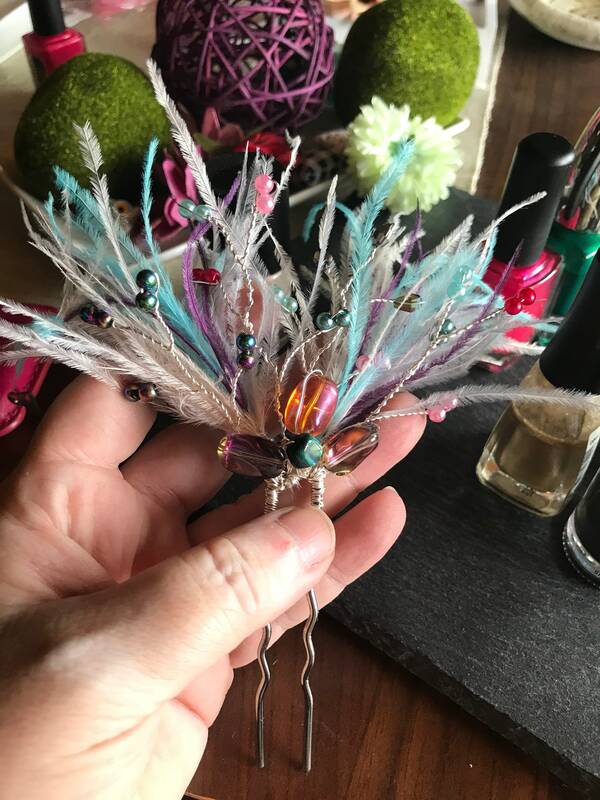 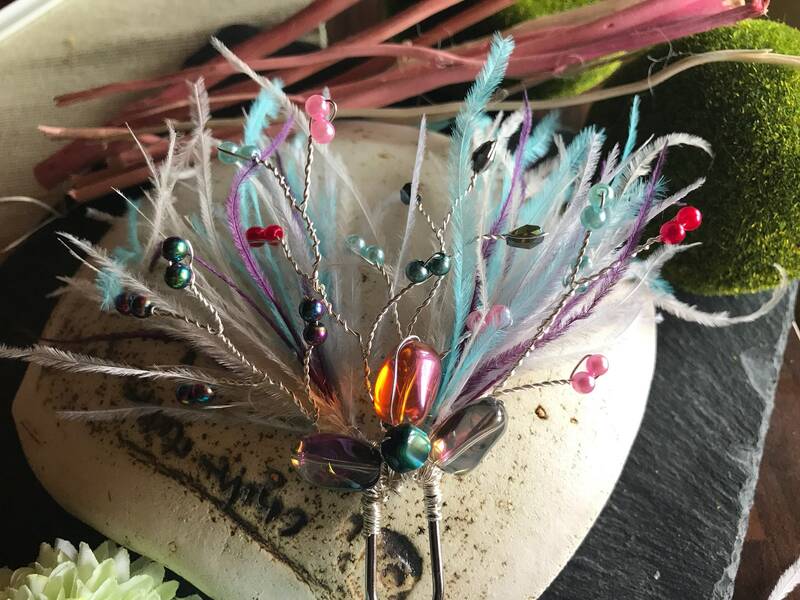 Small, multicolor headdress, made with feathers and rhinestones. 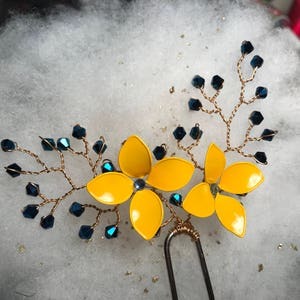 Mounted on a 7 cm pin. 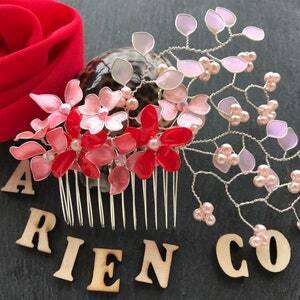 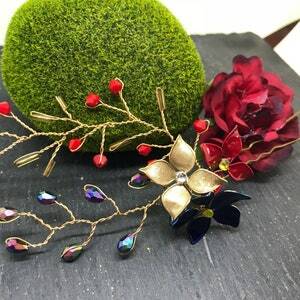 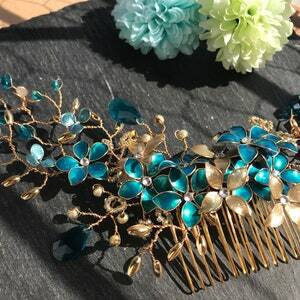 Brooch, with bouquet of flowers and gorgeous.